If you're traveling with your camera, arriving at a new location for the first time can leave you at a bit of a loss as to what are the key spots to shoot. While it can be great to just explore a place with your camera, if you're pushed for time, you want to maximise it. That's where the Pixeo app comes in. 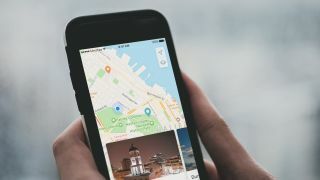 The app (it’s iOS-only at the moment, but an Android version is in the works) relies on crowdsourced information to provide a map of photogenic locations you're near to. Tap on a pin and you'll get a preview of the nearest photo spot. You can then drill down and get details about the location, including a description and gallery of photos. The app also allows you to share your own locations, as well as swap insights into shooting each spot, and upload your photos to the gallery for that location (with your images credited). You can also tailor the app to suit what you like to shoot – subjects include lighthouses, abandoned buildings and scenic vistas – while you can also favorite a location to save it for later. The app is free to download, but works on a subscription service – you can either subscribe monthly for $2.99 (£2.17) or pay for a year at $24.99 (£18.17). There’s also a 30-day free trial if you want to test it out.